Sogno HD 8800 Twin is a pretty cheap twin tuner option for those who want to be in the Enigma 2 universe. 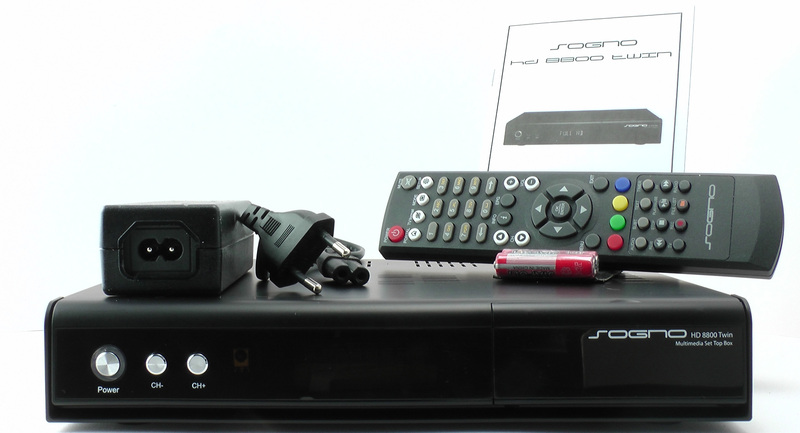 It is available as satellite or cable/terrestrial box. The box is sold on the German Amazon.de from around 135 Euro. 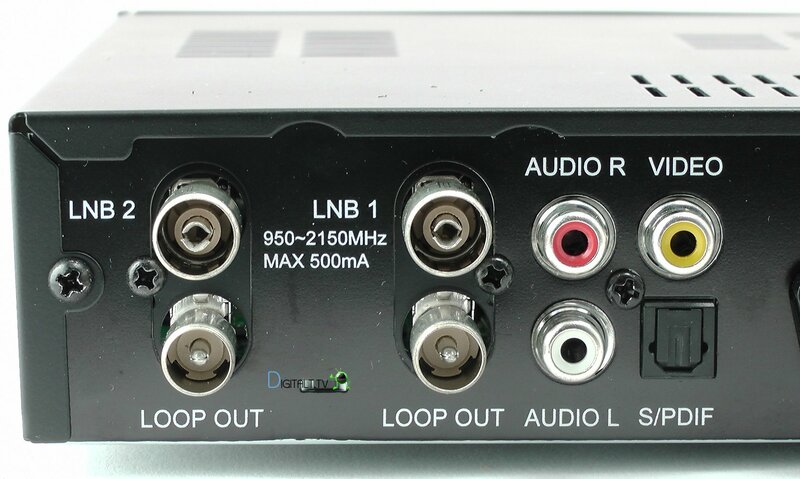 We are reviewing the DVB-C/T2 edition which is a bit more expensive. The Sogno 8800 comes with a remote including batteries, a small start guide in English and German. The power supply is external 12V 4A. You need to supply the HDMI cable yourself. The design is black with silver buttons on the front for channel change and standby. In the middle we find a 8 character alphanumeric display for channel name or current Time in standby mode. Opening the front flap reveals a built in card reader and 1 port for CI module. The device has 2 seperate tuners which you need to supply with signals. 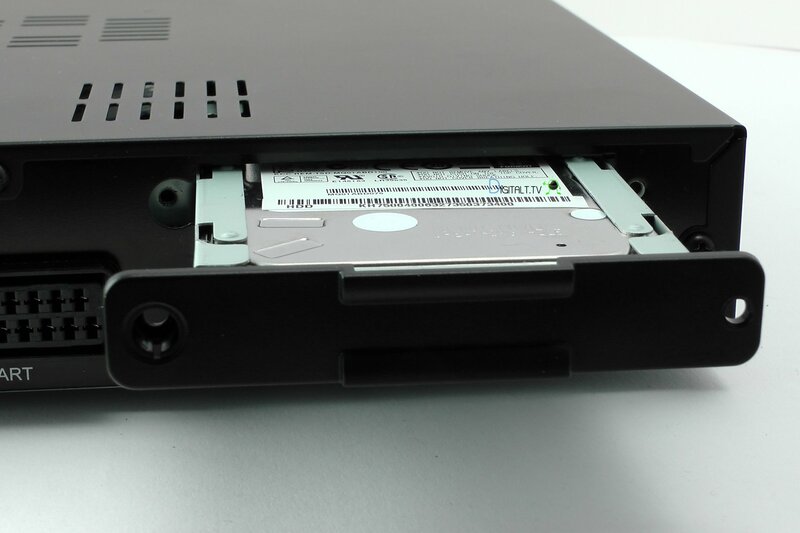 On the back a we also notice a 2.5″ sata hard drive slot which makes it super easy to install a hard drive yourself without opening the case. If you want you can also just use an external USB drive instead. We are at the low end CPU wise which is to be expected in this price range. The Sogno is fitted with a Broadcom 7413 Processor 400-MHz Dual-Core. 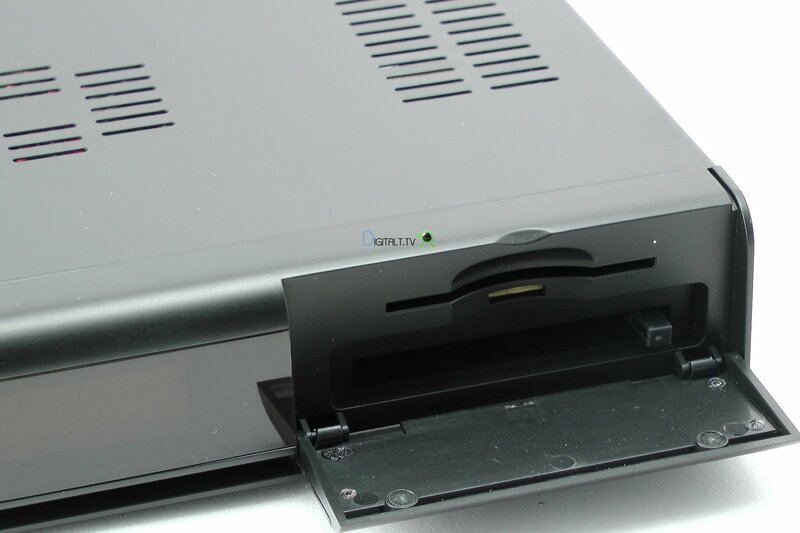 Since Sogno HD 8800 Twin is Linux Enigma 2 based receiver installation is straight forward for those who are used to that. The installed software on the receiver was old newer versions can be found on www.sogno-support.org and OpenATV software here. But it has to be noticed that software support for the Sogno is very limited. The only option pretty much is the OpenATV image. You download the software and put the folder Sogno on the root of your USB stick. Put the USB stick into the Sogno and power it on. Then you will get a message in the display telling you to press the power button on the front of the device to upgrade. Do be very patient with the upgrade it takes a while. After the upgrade is done the Sogno reboots again this takes a while. 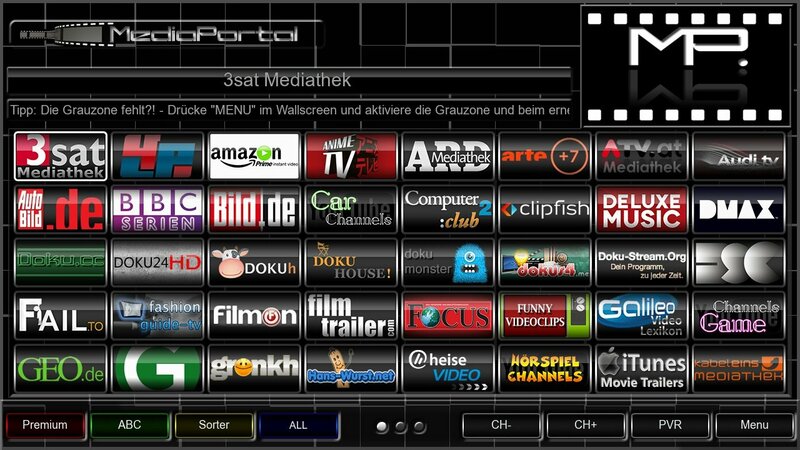 Since OpenATV image is made by Germans there are som pre installed german channels in the channellist but you can uninstall these. The remote is not Hign End but if you are into buttons there are plenty on there. That eases direct access to sevaral things which is fine by us. Some buttons are pretty small and close which can be an issue for some. Zapping channels works at a pretty good pace and in general the speed of the box is OK. There is a picture in picture function but it only does SD channels. One thing we never got working was DVB-T2 reception. It would not tune those channels stably. We tested 3 software images on the Sogno box and only the OpenAtv 4.2 worked with Hbb TV and pretty slow at that. On the remote we also find a Portal button right below the power button but you need to install the Mediaportal plugin for using that. The Mediaportal provides access to a number of online tv services like FilmOn. We did though notice that it did not work all that well. The Sogno HD 8800 Twin gives you a Twin Tuner Enigma 2 based box at a pretty low price. You do not get the latest and greatest of course but for the average not too demanding viewer it is pretty good. Installing a hard drive is as we said super easy.